WALK-IN TRYOUTS! Please send us an email to let us know that you’re coming to BOYS tryouts, to help our planning, thank you! Upon joining LJV (at the end of tryouts dates), you will be asked to complete registration and payment online. All players must be registered and paid online for tryouts (see Boys Tryouts Link above). If you must pay in cash/check, then please print and bring the LJV Waiver (link below) to the gym for your first tryout date. then, you’ll be asked ot complete online registration afterwards. LJV Waiver 2019 – only for walk-ins that did not complete the Online Registration prior to arriving at the gym. All players must be registered online or bring a parent-signed Waiver. All local tournaments held at Seaside (SDVBC) in Rancho Bernardo. Tryouts $40/player, includes all tryouts dates. 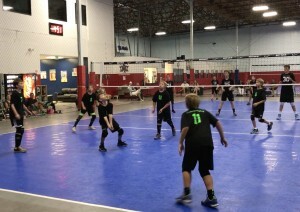 Season Fees (Local team): approx $895 for 4-month season Local team (mid-Jan thru mid-May), Higher fees for SCVA Travel team. Final season fees will be established at conclusion of tryouts. Payment plans will be available. Players will be divided by age and experience, open to 5th-10th graders (4th graders by prior approval) 6th grade and younger will play 12U. 7th/8th graders will play 14U. 9th/10th graders will play 16U (SCVA Travel).